Excimer laser vitiligo is a treatment method for curing the skin disorder known as vitiligo. Vitiligo is a skin disorder wherein pale, white patches develop on the skin mainly due the death of or a defect in melanocytes, the cells that are responsible for the pigmentation of skin. Excimer laser treatment is considered to be one of the most advanced forms of treatment for skin discoloration, which makes use of laser light to reduce the effects of vitiligo. The discoloration of the skin can be problematic in many ways, and the foremost problem that vitiligo sufferers have is not physiological but psychological. This is because patients become socially withdrawn when vitiligo symptoms start spreading through the body, and it brings about an inferiority complex, especially when the white patches appear on the face. Many people all over the world have been diagnosed with vitiligo. Climatic conditions are not actually causes of this condition; instead, it occurs due to certain body conditions and a lack of necessary pigmentation from melanin. Excimer laser is not a common treatment method that can be prescribed for just any patient. There are certain conditions that have to be fulfilled for getting this kind of treatment, which is considered to be highly effective for vitiligo. Excimer laser vitiligo is a painless treatment procedure that has a great effect in reducing the symptoms of vitiligo with minimal side effects. The medical personnel performing the treatment have to be trained and experienced; however, as it is an advanced treatment procedure, which involves the use of advanced laser equipment. Laser treatments are said to be generally painless and safe. This treatment procedure is chosen for treating white patches on the face and around the neck. The person receiving the excimer laser treatment has to be exposed to trial laser sources to determine whether the light source is effective. 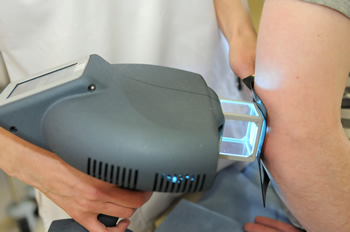 A laser exposure trial of about ten times is needed for the patient to undergo before the actual procedure takes place. This is also done to ensure that there is no side effect caused by these light sources on skin. Only if the trials are proven successful and safe can the treatment be pursued. It is likewise essential that during the trial exposure of laser light sources, the patient has to get some kind of pigmentation effect; otherwise, it is not the right treatment for that particular patient. He has to be subjected to some other treatment procedure. The treatment period varies, depending on the effect the patient receives from the excimer method. On a normal basis, the treatment is scheduled for 3 days a week. This period has been calculated to provide the pigmentation more effectively. The complete cure, or full treatment, is accomplished only after 20-30 reps. This long duration has to be carried out until the end, without skips or breaks. The treatment time for every laser exposure is just a few minutes. 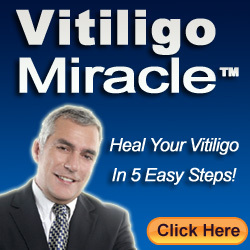 This treatment has been considered the most effective measure for getting rid of vitiligo. However, despite all the technological advances in improving vitiligo, it is said that this condition has no perfect cure. This is because not all treatment methods provide consistent effects in fighting the symptoms of vitiligo. Advancements in this field still have a long way to go, and until then, we have to make do with the available treatment methods in the market.